GameGuru - GameGuru Antiques in the Attic DLC on sale now! GameGuru Antiques in the Attic DLC on sale now! 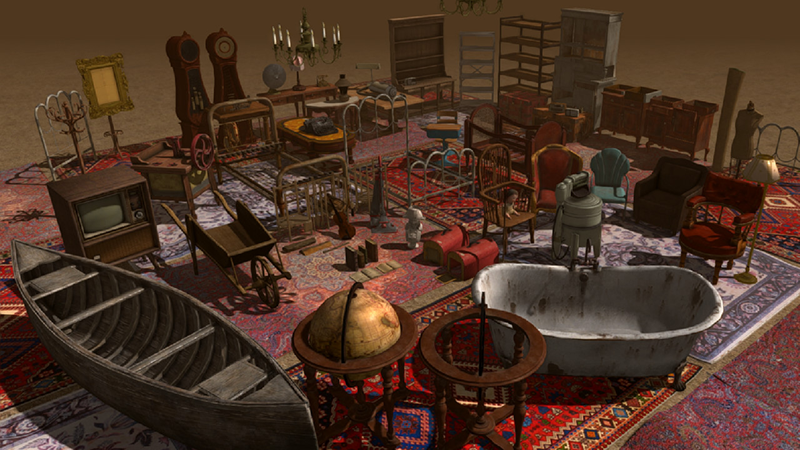 If your game idea requires old-style decor to populate and furnish your levels, then look no further than the GameGuru Antiques in the Attic DLC - an amazing collection of over 100 high-quality, PBR ready assets for your next game-making project. If you don't yet have the GameGuru Antiques in the Attic Pack DLC, we are currently running a promotion on Steam with a great discount, so there is no better time to expand your game making asset collection with some of the best AAA graphics you will find.